The accommodation options for each of our self-drive tours are completely flexible so you can choose to stay in B&Bs, 3* Hotels, 4* Hotels/Manor House or even a combination of all of these. We can also include a castle stay in some of our packages on request. You can rest assured that we only put you up in the very best accommodation so even our 3* Hotels are of the very highest standard available. Below you'll find examples of the type of accommodation you could be staying at taken from actual overnights locations in this Romantic Ireland Tour. Please note that the below accommodations are here as an example of the types of accommodation, which we book. You can request specific accommodation when we're putting together you're quote, however we cannot always guarantee availability. In these circumstances, we will supply an accommodation of an equal standard in the same location. Applecroft House is a family run business by Kathy and Don Brosnan and their three daughters. The family enjoys welcoming guests from all over the world and creating a home away from home. The gardens, which surround their house are beautifully maintained and they pride themselves on their work at their farm, which provides free-range eggs for home cooking and baking. One of the leading Ennis Hotels, Temple Gate is a stunning historic hotel with a superb convenient location with the delights of Ennis town right on your doorstep. There are many shops to explore, restaurants and pubs to sample and nightlife to enjoy all a short walk from Temple Gate Hotel. The Temple Gate Hotel offers a unique blend of warm hospitality and friendly service. Situated in the heart of Waterford City, overlooking the River Suir, the Granville Hotel, Waterford is in an enviable location. 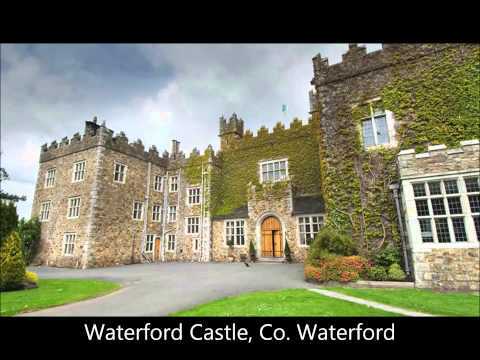 The luxury four star hotel is only minutes from Waterford’s Regional Airport, bus and train stations and within easy reach of the world famous Waterford Crystal visitor center , Waterford City Walking Tours, Reginald’s Tower, Waterford Museum of Treasures, Waterford Business Park and Waterford Institute of Technology. Fine food and a comfortable country-house accommodation. North County Cork is a glorious blend of lush green valleys, salmon-stocked rivers, and gentle hills. At its heart lies Longueville House Hotel, a 17th-century, 20-bedroom Irish country house hotel steeped in history and character. Longueville House is your ideal base for long walks, world-class golf and fine food. Your meals will be created by William, chef and patron, who trained under Raymond Blanc (Le Manoir aux Quat’Saisons).